Why do I hear thunder after I've seen lightning? How do our ears hear sound? 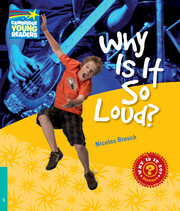 You can find the answers to these and other questions about sound in Why Is It So Loud?